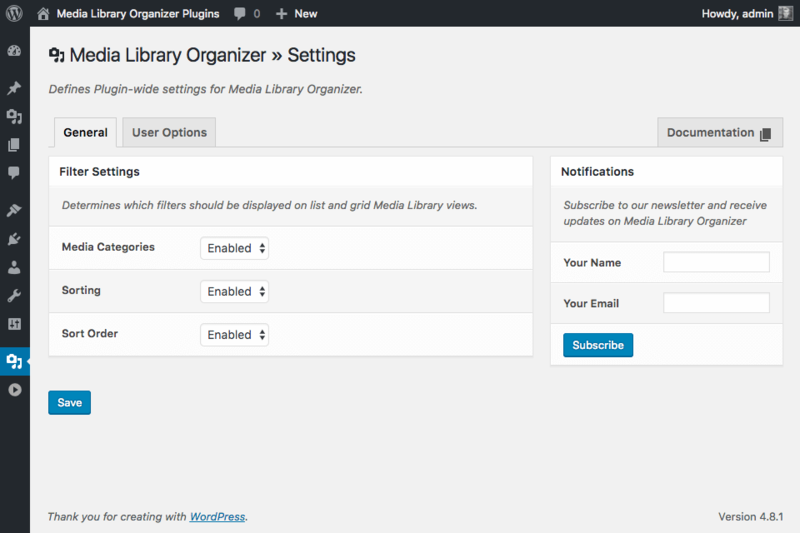 Media Categories: Enable or disable the Media Categories dropdown filter when viewing media in a list or grid view. 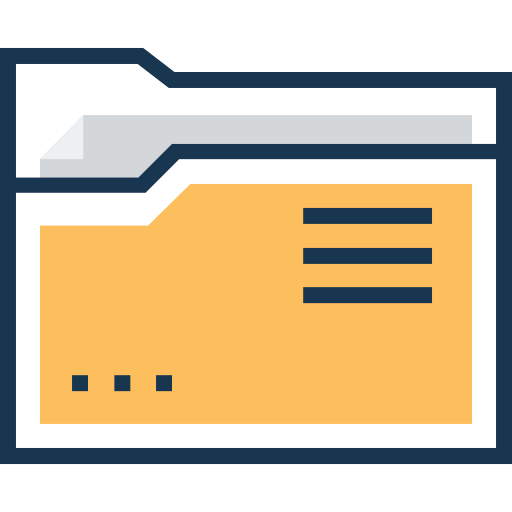 Sorting: Enable or disable the Sorting dropdown filter when viewing media in a list or grid view. 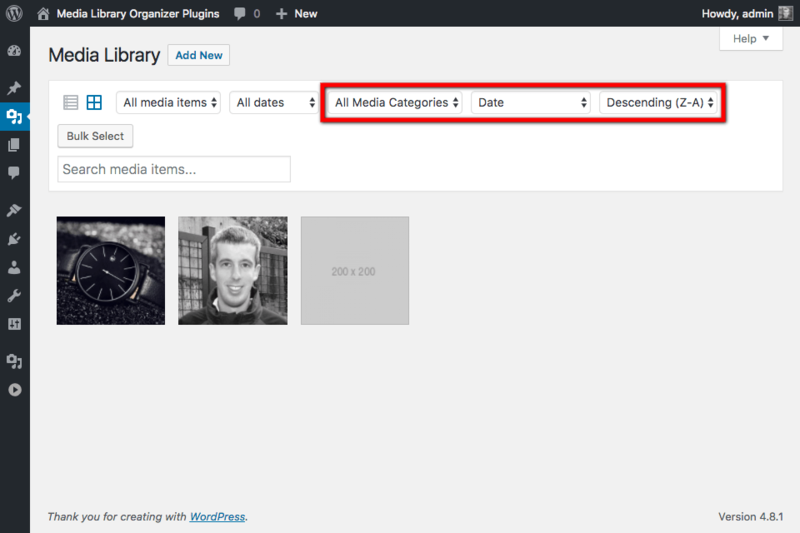 Sort Order: Enable or disable the Sort dropdown filter when viewing media in a list or grid view. 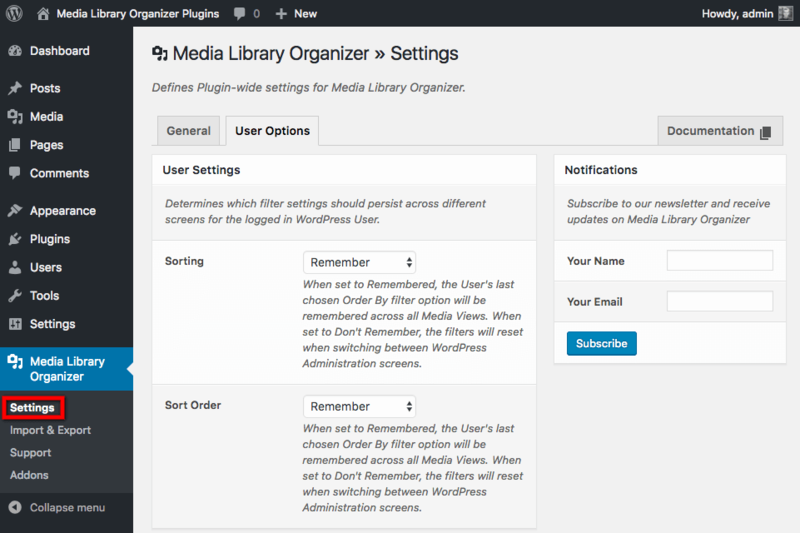 User Settings enable or disable whether Media Library Organizer should remember each WordPress User’s last sorting preferences. If enabled, and a WordPress user chose to sort media by Title descending, this setting would persist across the entire WordPress Administration interface for that specific User, until they change the sorting and/or sort options. If disabled, and a WordPress user chose to sort media by Title descending, this setting would not persist across the entire WordPress Administration interface for that specific User. This means when they subsequently load another screen with media displayed, in the list or grid view, the sorting filters would default back to displaying media sorted by date, newest to oldest. Sorting: Remember or Don’t Remember the User’s last sorting choice across subsequent screens in the WordPress Administration interface. 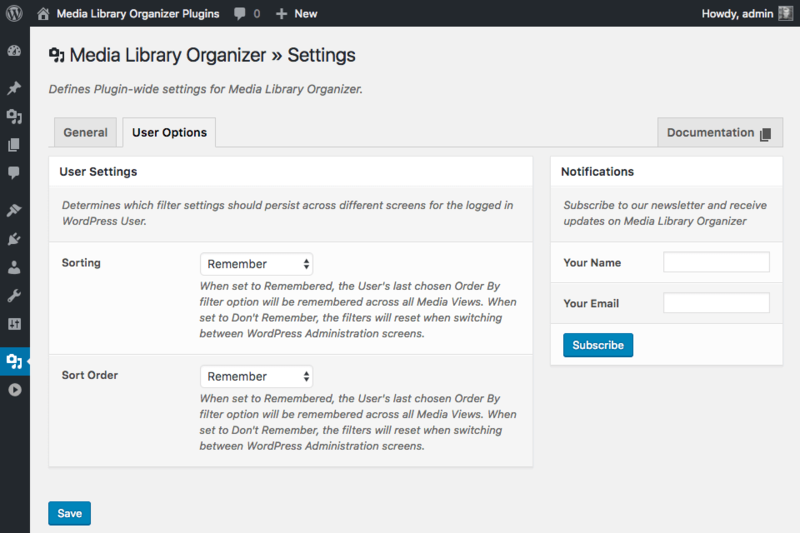 Sort Order: Remember or Don’t Remember the User’s last sort order choice across subsequent screens in the WordPress Administration interface.